The Health and Dietary Supplement Association of the Philippines (HADSAP) has done its share over the years, to ensure that education on basic nutrition in the Philippines remains ongoing. This year however, HADSAP decided it was time to cascade that education to those who need it most, young mothers with young families at the grassroots level. “Typically, kids between the ages one to five the are the most at risk of malnutrition. That’s where you start, if there are nutrient deficiencies early on in life, then you will have a harder time catching up later on so that’s why you address them during the first five years of life. So that’s why we targeted moms with young families in particular.” Shared HADSAP President Leni Olmedo, country manager of Amway Philippines. 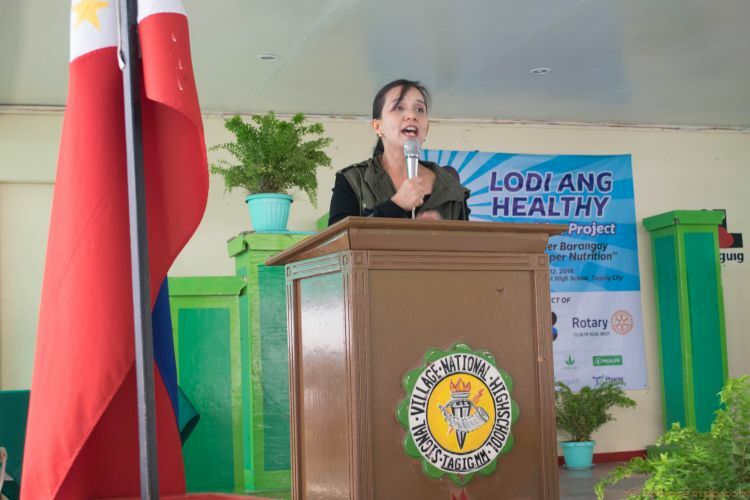 To kick of these efforts, HADSAP, together with the Food and Nutrition Research Institute (FNRI), and Rotary Club West started a project called “Lodi ang Healthy” at the Signal Village National High school. An all-day nutrition education seminar and workshop for young moms and kids from underprivileged families in the community, “Lodi ang Healthy” is in line with the United Nation’s Millennium Development Goals (MDG), which include improved maternal health, and reduction of child mortality. Previously, HADSAP pursued its nutrition education advocacy through larger scale nutrition summits, and while shifting to smaller events at the grassroots level was always a goal, there were challenges that could only be overcome by making the effort multi-sectoral. “When we organized this, the three of us met: FNRI, Rotary and HADSAP, we can’t do this alone, if we want to be able to address to the right communities.” explained Olmedo. “Because moms do the food preparation at home. So if you want to ensure that that family gets the most proper nutrition, you address the moms.” Said Olmedo. Since it was established in 2007, it has been one of the’ (HADSAP) core functions to closely cooperate with the Food and Nutrition Research Institute of the Philippines (FNRI) on matters of the agency’s mandate, which is to improve the state of nutrition of every Filipino through research, and education. Aside from nutrition education, mom’s and kids who attended “Lodi ang Healthy” took home supplements from HADSAP’s member companies. HADSAP’s member companies are Amway Philippines, Capsugel, GND International, Total Nutrition, Herbs Express, Herbs and Nature, Nikken, Nu Skin, Splash, Symmetry, and Unicity.